The Custard TV: REVIEW: Luther falls into worryingly familiar pattern. 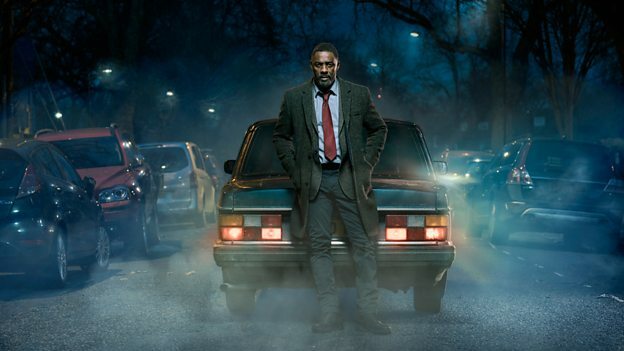 REVIEW: Luther falls into worryingly familiar pattern. The summer of 2010 was a very important year for BBC drama. That summer saw the start of two BBC juggernauts that garnered praise from legions of loyal fans around the world. One of the shows starred a relative unknown in Benedict Cumberbatch whizzing around London solving puzzling murders in London while the other featured that guy from The Wire walking cocksure around London solving grizzly murders. It wasn't only their setting and their central theme the two shows shared. They had many things in common: They only ran for small amounts of episodes at a time, they both made megastars of their leads and they both got a bit bogged down in backstory rather than focusing on what made them a hit in the first place. By the time Sherlock series three rolled around writers Steven Moffat and Mark Gatiss were so focused on the ridiculous backstory of their lead character they'd completely forgotten that the show was supposed to be about their hero solving crimes. The series became completely bogged down in Sherlock's less interesting backstory, relationships and irritating nuances that his work as a crime-solving genius faded into the background pretty much entirely. The same can be said of Luther. When that started in 2010 the story focused on maverick John Luther tracking down some of London's most deprived killers who drained people of their blood or kept themselves hidden under a bed to pounce on them when the opportunity arose. 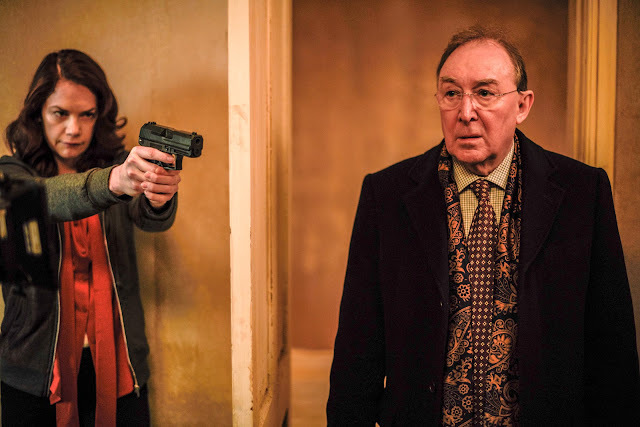 Much like Sherlock, Luther writer Neil Cross has become more invested in giving his lead character such a strange backstory that the police work, which in my view is the best aspect of any Luther story, is annoyingly secondary. When the BBC announced that all four previous series would be available to gorge on on iPlayer I had assumed this was basically for those who had somehow not boarded the Luther Express in 2010. In hindsight, it would've been advisable for even the most ardent Luther enthusiast to bone up on the parts of the story they'd forgotten. This new series appears to be an excuse for writer Neil Cross to 'get the band back together'. Whilst an appearance from Luther's love interest slash adversary Alice Morgan (Ruth Wilson) was probably the worst kept secret in television it's hard to remember quite how the dynamic works. Add in cut out gangster George Cornelius (Patrick Malahide) who we were first introduced to in the lacklustre fourth series and the crazy world around our maverick copper is getting more confusing and bonkers with every phone call or knock at the door. Whilst Idris Elba and Ruth Wilson have great chemistry, their story is far less involving than the actual crime aspect of the series. The crime this time is one of the most ingenious that Cross has ever delivered. A husband and wife team working together. She's a cold psychiatrist who is well aware of her husband's desires when it comes to awfully brutal murders. The pair has one rule: "play safe." The first episode saw the horrendous, but ultimately incredible scene where a kill is murdered on the top deck of a bus, and this second instalment saw him turn up a girl's flat with a large suitcase which he would proceed to stuff her lifeless body in after knocking her out with chloroform. The biggest shock of the episode came we learnt that this madman who owns a hoodie filled with LED lights to confuse CCTV cameras is a practising surgeon! He gets sexual gratification when performing a heart operation. It's truly stomach-churning stuff and Cross is a master when it comes to taking the show in a new and disturbing direction. My issue is, that all that exciting stuff is playing second fiddle to Luther and his band on enemies running around London trying to second-guess each other's next move. The amount of actual police work done by Luther in the first half of this four-part series must amount to ten minutes. And that's a bugbear. Whenever I get invested in the crime Cros's script drags me back into Luther's backstory as he tries to protect Alice, or delivers George's son back. While it could be argued it's good to see Luther and Alice reunited, it could be also argued that after all this time their relationship is perhaps the least interesting thing about the series. Hermione Norris is hypnotic as the calculating physiatrist who revels in taking control of her psychopathic husband and all their scenes, however gruesome and uncomfortable showcase Neil Cross at his best. Wunmi Mosaku as Luther's new sidekick D.S. Catherine Halliday is also incredibly engaging but while Luther sprints around London she's left behind and we aren't treated to enough of her. It probably sounds like I'm moaning and I promise you I'm not. Luther is pure escapist excitement. It's so bonkers that picking it to bits will only serve to prove how ludicrous it is, I just think that too much time is spent with the camera pointing at things I'm less invested in. Much like I wanted to see Sherlock and Watson solving their inexplicable cases I wish Cross would let John Luther be a policeman! We've got two more episodes to go, and by the looks of it, I'm not going to get my wish. Those watching throughout the credits got a little glimpse of Paul McGann who will be reprising his role as Mark North (Luther's dead wife's husband who last appeared in 2011's second series). He's likely to provide more distraction and take the spotlight even further away from our gruesome twosome. No doubt they'll be caught by the end of the series with DCI John Luther swooping into cuff or kill the couple, I just wish he'd be more invested in his work and leave his hectic life behind. Luther Continues Tomorrow at 9.00pm on BBC One.